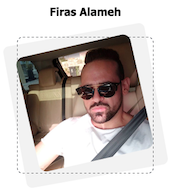 Cyril Gupta + Firas Alameh – Instazon Launch Affiliate Program JV Invite, More. Welcome to the JVNP 2.0 Update featuring a primary JV invite courtesy of fellow JVNP 2.0 Partners Cyril Gupta + Firas Alameh (Instazon marketing software suite launch affiliate program JV invite), Buzz Builders, and More … in Today’s cash in on this suite treat edition. 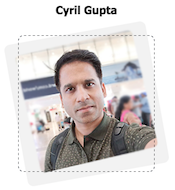 Fellow JVNP 2.0 Partner, Cyril Gupta & Firas Alameh have partnered up on one of the “BEST” Amazon Marketing Suites around, the components of which work together, synergistic-ally, to bring out the optimal results needed to crush the “AMAZON FBA or AMAZON Affiliate” game. FE: 4 Powerful Amazon Research Apps + 2 WP Amazon Store Set-up Plugins + Step-by-Step Amazon Seller Training Video. OTO: Very carefully studied products positioned properly as Upsell 1, 2, and 3. Priced to put as much cash in your pockets as possible and convert MAD Crazy! We have loads of Bonuses prepared in our bank of related products that can be used to push this. Not only does this deal consist of 7 products on the FE, alone, but we are equipping you with over 15 Exclusive bonuses to push your conversions to the next level, and beyond! Amazon is the biggest business in the world today, with 310,000 customers who have bought something online. If you’re not selling on Amazon, or for Amazon, you’re skipping the biggest Internet revolution since Google itself. Yes, your customers want to make money with Amazon, and they are looking for help. This is the ultimate Amazon marketing suite ever created and it has everything your customer needs to achieve success. Every piece of this powerful product has cost your customer 100s of dollars in the past when they bought individually, and it has been an impossible job to tie everything together. Instazon puts everything in one place, for one crazy price that’s one-third of anything that your customer has paid in the past for one-third of the product. Yes, they are going to go crazy. Don’t lose the chance of introducing them to this powerful product. – 4-in Powerful Amazon Market Intelligence Software. – 2 Powerful Amazon Store WordPress Plugins. – Comprehensive Marketer Training with 20+ Videos. – Every Amazon Marketer’s Super-Toolbox. Don’t let Your Customers do Amazon Marketing without it. You want to make life easier for your customers. That’s why they love you, right! This is a powerful, religiously maintained product, backed by support that really matters. Yes your customers will love you for introducing them to it, and you get great conversions, an offer you can love to promote, fantastic prizes, recurring commissions coming to you, month after month. $7K launch time JV Contest, PLUS … Fun Surprise Contests & Bounties! You’ll be Working With a 38 Time JVZoo PoTD Winner. At Teknikforce we make sure things are done right. Right from marketing design to the product, our team chases perfection in everything we do. No surprise that we’ve got 38 Product of the Day awards, so far. When you sell a Teknikforce product, you don’t have to worry. We back you, we back your customers. We Reciprocate Hard for Our Partners. We will Bring the Heat to Your Next Launch … Whatever the Niche! Visit the JV Page and find out how to grab your promo tools and more. Old Tree Publishing, John Di Lemme, and other fellow JVNotifyPro 2.0 partners are waiting in the wings … keep your eyes on your Inbox, and follow the action in the JVNP 2.0 Premium VIP JV Announcement archives. Posted in Internet Business + Marketing, Joint Venture Announcements	| Tagged Affiliate Marketing, Affiliate Program, Affiliate Programs, Buzz Builders, Cyril Gupta, evergreen affiliate programs, Find Affiliates, Find JV Partners, Firas Alameh, Home Business, Instazon, Internet Marketing, Joint Ventures, JV Calendars, JV Invite, JVNewsWatch, JVNotifyPro, Launch, Launch Calendars, Make Money Online, Marketing, marketing software suite, Mike Merz, Need Affiliates, Need JV Partners, New Product Launches, Niche Marketing, Online Business, Work At Home	| Comments Off on Cyril Gupta + Firas Alameh – Instazon Launch Affiliate Program JV Invite, More.